For many years two stories have circulated about how Idylease derived its name. 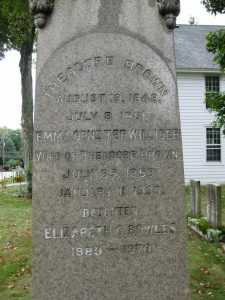 Names for historic structures and landmarks give the people that live in the area a sense of place and speak to those locations and their particular place in time. Several different explanations prevail about the naming of Idylease. Let’s first determine what is known for certain. 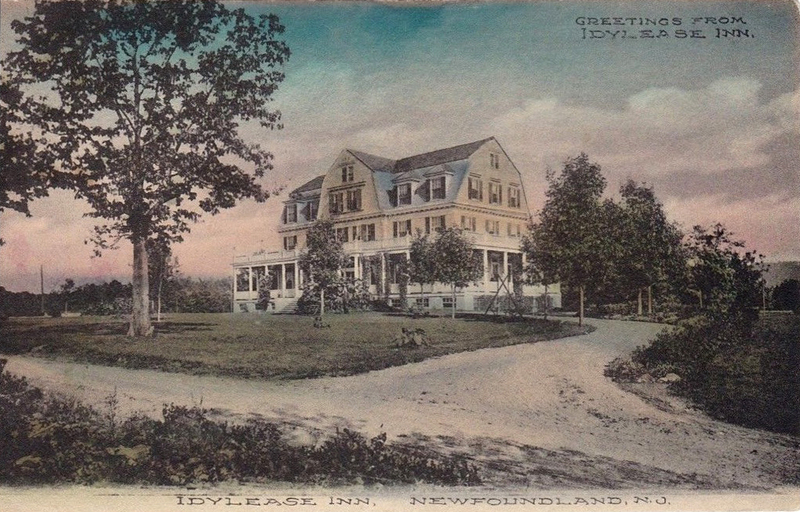 Originally the area where Idylease is located was part of a 1,000 acre parcel that was owned by Theodore Brown who established Brown’s Hotel in Newfoundland in 1855. Dr. Edgar Day, a Brooklyn physician, along with 11 other investors built Idylease in 1902-1903. 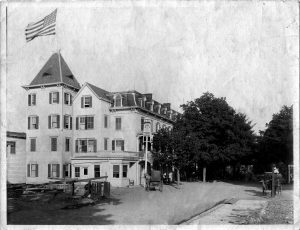 It was a place where cheerful hospitality reigned for persons “wearied or worn with the ceaseless turmoil of the city.” Originally, Idylease was planned as both a vacation spa and resort hotel. Mention in a 1903 guidebook, yields an entry where State Rt. 23 crosses the Pequonnock River and the New York, Susquehanna and Western Railroad, narrowing the run between the parallel Pequonnock and a shale escarpment. This is a region of small lakes off the main highway, exploited by real-estate development companies as “The Idyl A While of the East”. Did Idylease derive its name from the locale of this reference? Or… does it’s name originate from the combination of syllables that include: Idyll – “an extremely happy, peaceful, or picturesque episode or scene, typically an idealized or unsustainable one” and Ease – “absence of difficulty or effort” as in ease of living? Somewhat of a literary romantic, it is also believed that Edgar Day named the resort after Alfred Lord Tennyson’s “Idylls of the King,” an epic poem about Camelot and the legendary King Arthur’s court. 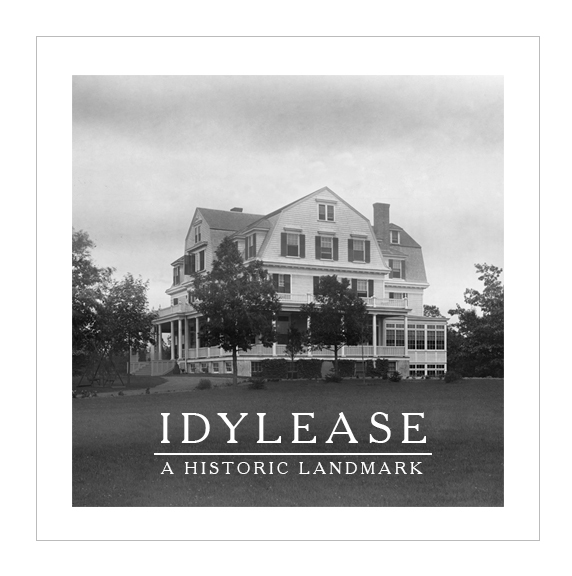 The background story of the naming of Idylease may never be known for certain and has probably died along with those who built the structure at the turn of the century. John P. Brown was for many years the proprietor of Brown’s Hotel in Newfoundland, NJ. This hotel was in existence and under the management of the Brown family for nearly one hundred years. 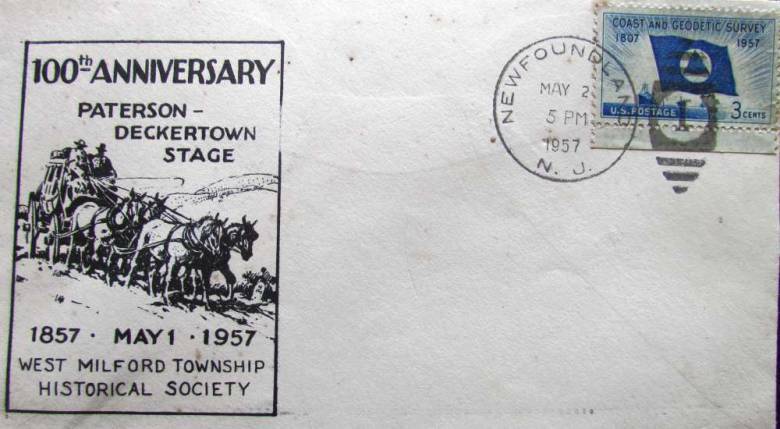 “This afternoon, completely drenched with rain, we stayed at a tavern newly erected, in a village called Newfoundland. Here we procured a small private room and a good fire, dried our clothes, and got tea very comfortably. Our landlord, a very intelligent man, spent the evening with us, and related several interesting anecdotes of General Washington, with whom he was personally acquainted. I observed he was always addressed with the title of Squire, being a magistrate. Bears, deer, and wolves are very numerous in this neighborhood in the fall. A barn not exceeding 60 feet by 30 costs here about $125.00; shingles or wood tiles, 15 to 20 dollars per thousand. The whip-poor-will we heard for the first time at this place, repeating its plaintive notes through the whole night. Our accommodations at this place were very comfortable. and our charge, including hay, one peck of Indian corn, our room, fuel, liquor, one pound of butter, what milk we chose and tar and tallow for our wagon, three quarters of a dollar. I gave our kind host one dollar, which he accepted with reluctance; and at our setting off, he prepared us a quantity of egg-nog, a mixture of apple spirits, eggs and milk. Terrible roads still, and the bridges over the small streams nothing more than poles laid across”.